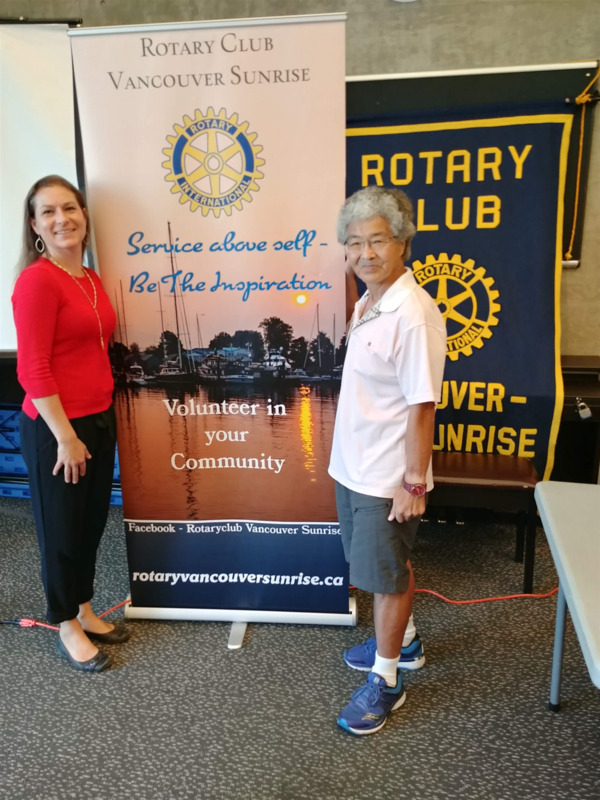 This week we welcomed 11 members, a visiting Rotarian from Stuttgart, Steven Oji and Mark Zhou, a friend of Ron. * Project Amigo Day of the Dead dinner is on October 27. Please spread the word to family, friends, and colleagues, and plan to help fill a table. *October 14th we will be serving with other volunteers, including the Salvation Army and Strathcona Youth at the Pancake Breakfast Fundraiser for Street Front. Please sign up with Abigail. Ron reminded us about one of the 6 areas of focus for Rotary, basic education, and literacy. There are more than 75M people over 15 who are illiterate. Today’s speaker was Lisa Dominato, she is a strategic leader with 20 years’ experience in government administration, public policy, communications, and stakeholder relations. She is currently a public relations consultant, specializing in building social license for projects aimed at delivering benefits to the public. Elected to the Vancouver School Board in 2017, Lisa is passionate about public service and is a strong mental health and housing advocate. Lisa served the past six years on Vancouver’s Kettle Society Board, which delivers local mental health and housing services, and recently concluded her term as Chair. When you teach somebody how to read, they have that for a lifetime. It ripples through the community one by one. - Rotarian Mark Wilson.